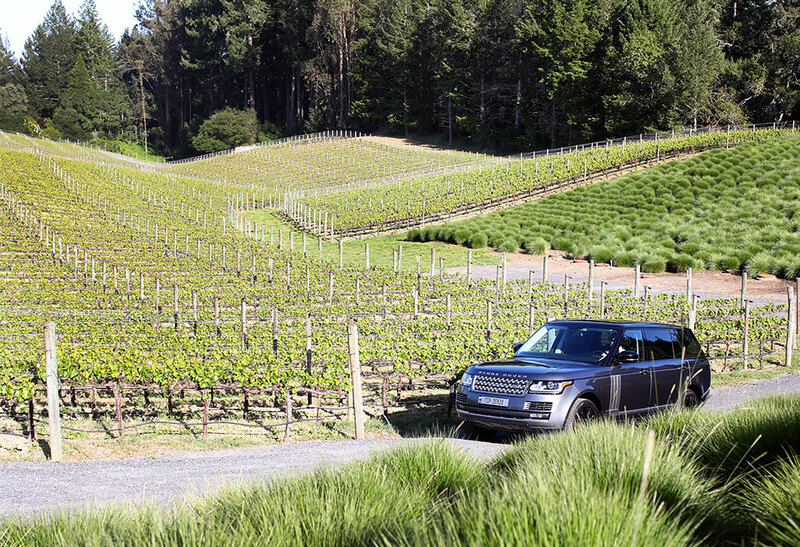 Nothing compliments the Sonoma County lifestyle like a Range Rover L. This extremely capable off roader, is just as happy rumbling up a steep vineyard row as it is out for a special night on the town. 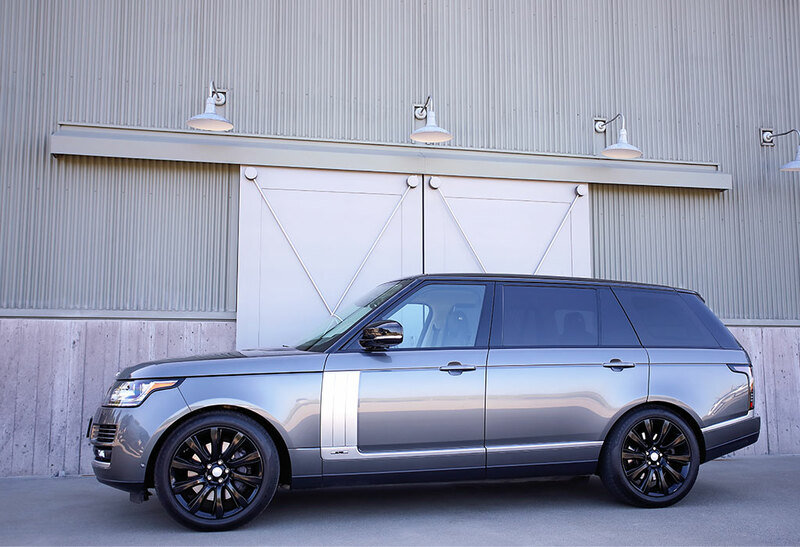 This top of the line, L model, has an extra 8” of leg room in the rear seat, full air suspension, for a fantastic ride, and a Supercharged V8 just in case. Safe as a house, with more luxury and leather. Our guests love it and our drivers fight over it. 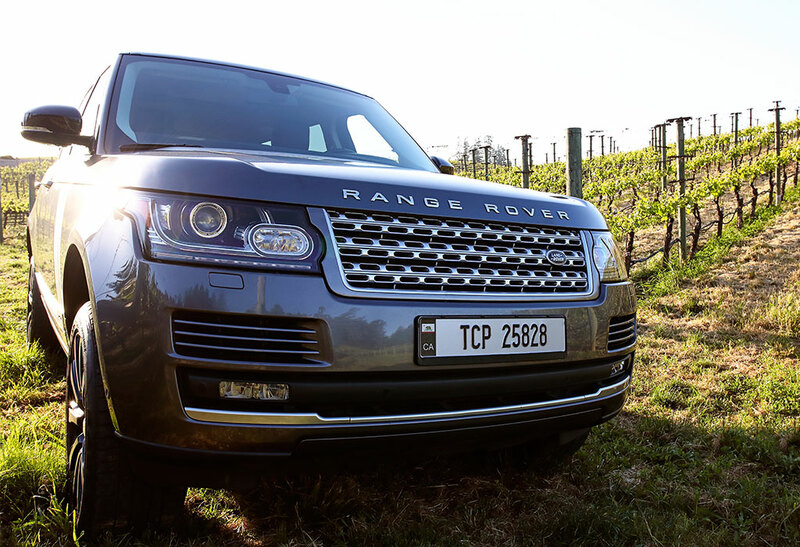 With the Range Rover you can off road in style in one of the finest SUVs on the road today. 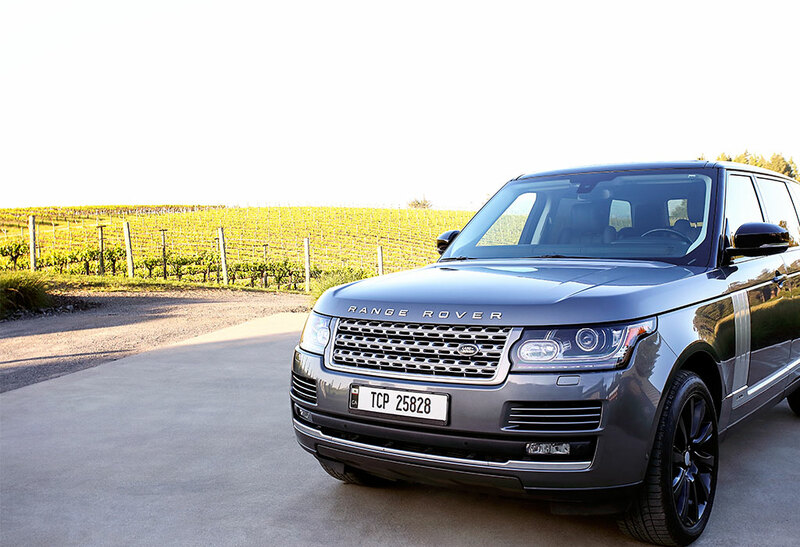 All wine tours in our Range Rover L are $100/ hour with a 5 hour /minimum. This rate is inclusive of all taxes and fueling charges. Gratuity is at your discretion and not included in the rate. 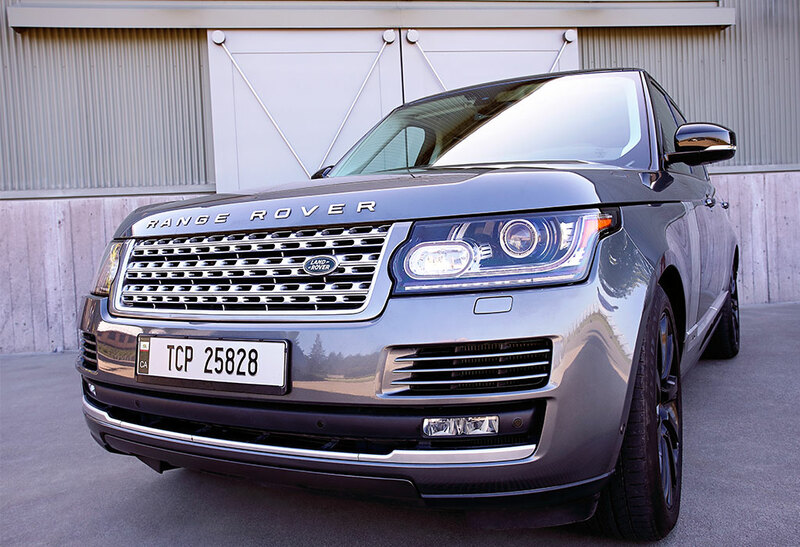 For other services, such as airport or dinner transfer, or wedding transport, please contact us directly. All services require a credit card to guarantee and are subject to a five/ day cancellation policy.